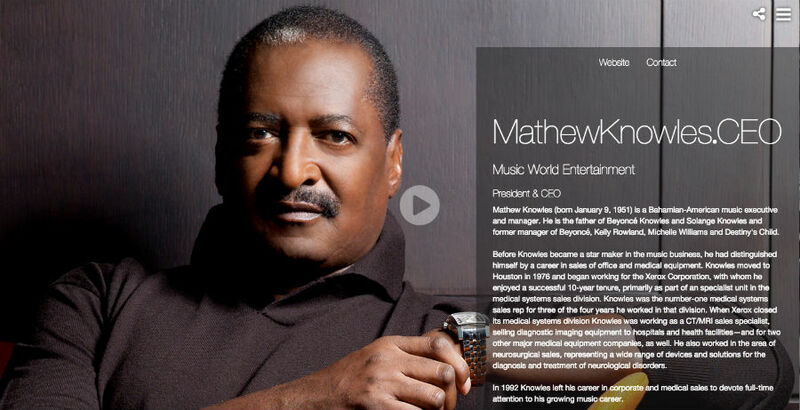 Mathew Knowles (born January 9, 1951) is a Bahamian-American music manager and the CEO of Music World Entertainment. He is the father of Beyoncé Knowles and Solange Knowles and former manager of Beyoncé, Kelly Rowland, Michelle Williams and Destiny's Child. Before Mathew Knowles became a star maker in the music business, he had distinguished himself by a career in sales of office and medical equipment. Knowles moved to Houston in 1976 and began working for the Xerox Corporation, with whom he enjoyed a successful 10-year tenure, primarily as part of an specialist unit in the medical systems sales division. Learn more about Matthew Knowles and the .CEO Network.